Supports Self adapting different population interpupillary distance: 54 ~ 74mm. Mould was made by Sweden S136 steel, has more stable quality. All manufacturing process was placed in dust free spraying dust workshop. DeePoon E2 uses M color system (BMW6 Series) paint materials during surface treatment, combined with Japanese Excellent Spray Technology. 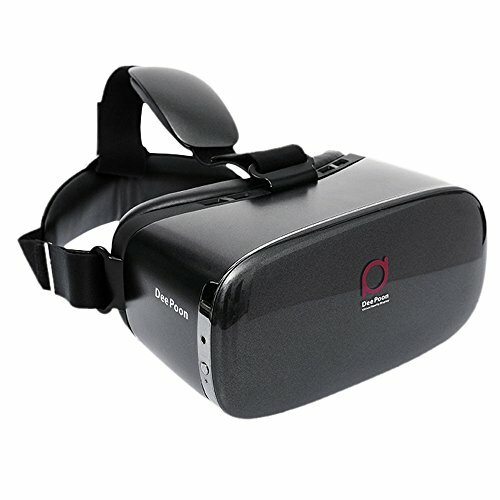 Can push hundreds of VR games to you. Born for the cross platform development of helmet, compatible with 99% VR resource. There is massive content in 3D BOBO for enjoyment. Independent DeePoon API, can support programmers to develop more wonderful application. OS: Windows7 \ 8,not for Win 10. AMOLED screen can protect user's eyes better with much less harmful blue ray energy. Offering 75HZ (Refresh Rate), Much higher FPS than average performance. High-quality Non-spherical Optical Lense of DeePoon E2 is made by Japan, lens is more pure, offering distortionless image. DeePoon E2 Combines optical amplification technology and image anti-distortion technology together, and Deepoon E2 owns amazing 120ºFOV, which can offer wonderful immersive sense.